The share of China’s service sector businesses among all enterprises is up more than 5 percent from 2008, signalling an improved economic structure, the latest official data showed on Tuesday of December 16. China is striving to adjust its economic structure to ensure sustainable growth after years of rapid development, and a continuing slowdown has prompted the world’s second-largest economy to shift into an economic “new normal” focused more on quality than GDP growth figures. The economic census revealed there were 10.86 million enterprises engaged in the secondary and tertiary industries at the end of last year, up 52.9 percent from 2008. Enterprises in the tertiary industry accounted for 74.7 percent of total businesses, up 5.7 percentage points from five years ago, while the proportion of companies in the secondary sector shrank to 25.3 percent. Total assets of companies in the two sectors totaled 466.8 trillion yuan (76.3 trillion U.S. dollars) last year, rising markedly by 124.6 percent from 2008. The service sector accounted for 73.9 percent. NBS director Ma Jiantang said the census results showed an improvement in economic structure and people’s well-being in the past five years, despite the lingering impact of the global financial crisis. The wholesale and retail sectors comprised the largest proportion of companies, accounting for 25.9 percent of the total, followed by manufacturing at 20.7 percent and public management, social security and social organizations at 14 percent. The economic census also showed some 166,000 firms had business interests in the strategic emerging sector, including new energy and IT, representing t2 percent of the total. In addition, more than half of the companies were located in China’s prosperous eastern regions, while those from less-developed central and western areas accounted for no more than 20 percent each. The northeastern region, China’s old industrial base, accounted for less than 7 percent of total companies. 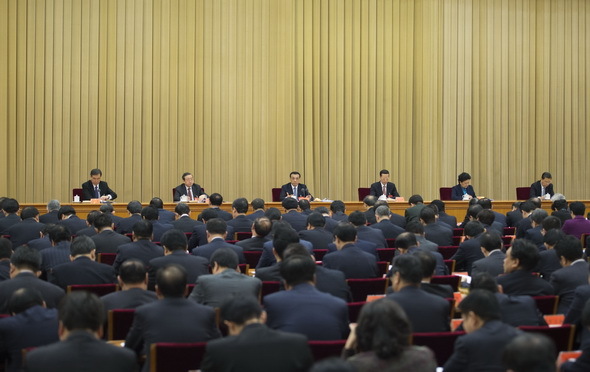 China launched its third national economic census in 2013, covering the secondary and tertiary industries. The first two economic censuses were conducted in 2004 and 2008. 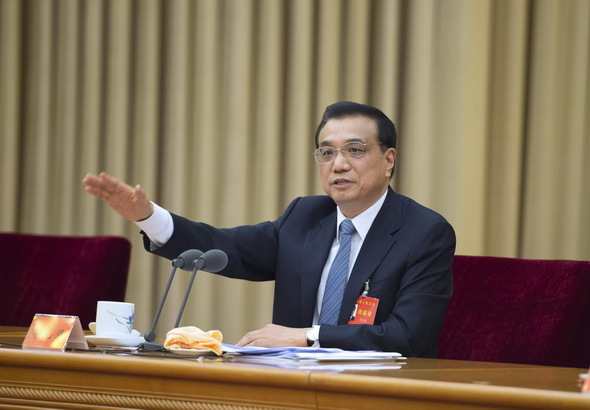 Ma said the census results will be used as a key reference for the country to enhance macro regulation, speed up economic transformation and draw up a long-term development plan. China is transforming its economy to steer itself onto a sustainable path and adapt to the “new normal” as high-speed growth comes to an end. Zuo Xiaolei, chief economist of China Galaxy Securities, said a new economic structure is needed to create a new economic driving force as previous dividends, such as labor advantages, fade away. 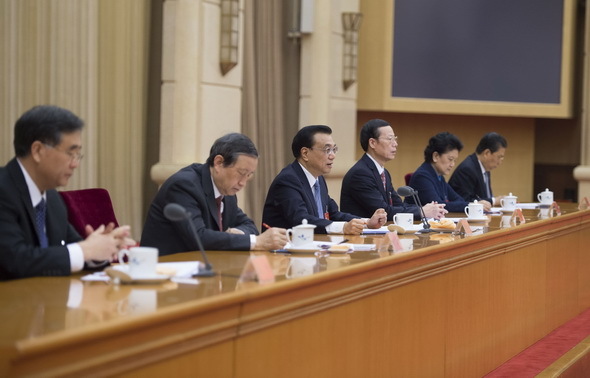 A tone-setting economic policy meeting that concluded last week emphasized the importance of adjusting the economic structure, while noting positive changes have already taken place. The census results highlighted an improved economic structure featuring upgraded manufacturing, an expanding service sector and increasingly robust businesses. The national survey showed a more competitive manufacturing sector, which has begun to grow out of its reputation for low costs and low added value. The number of China’s large high-technology manufacturing companies surged to 26,894 by the end of last year, an increase of 1,077 from 2008, representing 7.8 percent of all companies in the sector. The service sector has also started to play a bigger role in the economy, with a surge in firms and jobs, the census said. Experts believe a dynamic service sector signals that China’s economy and society have entered a new phase, with a huge capacity to absorb labor, while expending relatively less energy. China’s service sector outperformed the industrial sector for the first time by contributing 46.1 percent of the 2013 GDP. The improving structure was also evidenced by diversified business ownership and corporate performance, the census showed. The number of private enterprises in China soared 55.8 percent from 2008 to 2013 while state-owned companies became fewer but stronger. The average revenue of China’s companies increased 64.2 percent from 2008, indicating better quality and efficiency of the economy. In addition, the census showed China had 7.85 million small and micro-sized enterprises in the two sectors by the end of 2013, accounting for 95.6 percent of the total. Although confronted with a property slowdown, sluggish domestic demand and unsteady exports, China’s economy has shown a silver lining amid downward pressure. Zhuang Jian, senior economist of Asian Development Bank, said the census suggested a positive trend in economic development and structural adjustment despite risks and challenges both at home and abroad. He noted modern manufacturing, emerging industries and rapidly growing small firms will offset falling traditional industries. Given the ongoing economic transformation and upgrade, China still needs to continue its overall reform to eliminate barriers, Zhuang added. China’s economy expanded 7.3 percent year on year in the third quarter, the lowest reading since 2009, indicating looming downside pressure. However, Helen Qiao, chief Greater China economist at Morgan Stanley, said the Chinese economy stands a good chance of bottoming out in the second half of next year due to flexible reform and pro-growth policies. China on Tuesday of December 16 published results of its third national economic census, which showed the country’s economic structure continued to improve between 2008 and 2013. Following are major data from the economic census. China had 10.86 million legal units engaged in secondary and tertiary industries at the end of 2013, up 52.9 percent over the second economic census at the end of 2008. The country had 8.21 million corporations in the secondary and tertiary industries at the end of 2013, of which 97.5 percent were domestically funded companies, 1.2 percent were corporations with funds from Hong Kong, Macao and Taiwan, and 1.3 percent were foreign-funded enterprises. The secondary and tertiary industries employed a total of 356.02 million people at the end of 2013, 30.4 percent more than at the end of 2008. 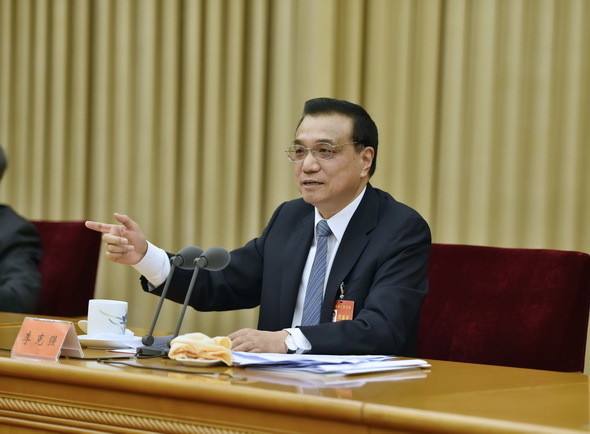 At the end of 2013, aggregate business capital in secondary and tertiary industries reached 466.8 trillion yuan (76.27 trillion U.S. dollars). Secondary industry, which includes industrial and construction enterprises, accounted for 26.1 percent of total business capital, while tertiary industry, or the service sector, accounted for 73.9 percent of the total. The country had 7.85 million small and micro-sized enterprises at the end of 2013 in the secondary and tertiary industries, accounting for 95.6 percent of the total and providing 50.4 percent of total job positions. Major industrial enterprises invested a total of 831.84 billion yuan in research and development in 2013, 170.7 percent more than in 2008, accounting for 70.2 percent of total social spending on R&D. The country had 26,894 large high-tech manufacturing companies by the end of 2013, making up 7.8 percent of all large manufacturing companies, up 1.3 percentage points from 2008.